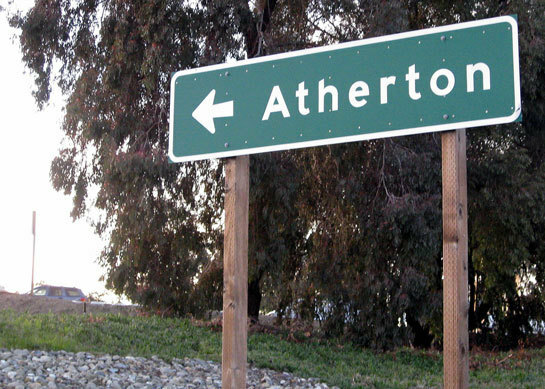 Photo of the Week: I got a chance to catch up with some old friends this week in Silicon Valley including a trip to Atherton when I snapped this photo. MySpace accounced the launch of its Developer platform this week, by opening the MySpace Developer Site to app creators around the world. Applications will be available to the users one month or so. Web 3.0: Is It About Personalization? Web 3.0 will be about recommendation. "If web 2.0 could be summarized as interaction, web 3.0 must be about recommendation and personalization." What do you think? A new web video campaign from Dell called "IT Through the Decades" takes an overt swipe at IBM's most recent television advertising campaign. Brad Horowitz casually announced the launch of Yahoo Live on his blog. It left the rest of the blogosphere scrambling to try and figure out what the heck it is. It is basically a live streaming video service. Fast Company launched their new Web site this week which is built entirely in Drupal and offers some social features to better connect with its readers. The popular project managment web service Basecamp, created by 37signals, has turned four years old this past week. Happy birthday Basecamp - I use you everyday and think you get better with age. Brian Solis has written a excellent piece about turning your customers into evangelists. Google News has a new feature: Local News. RWW proclaims that Nokia, the world's number one mobile handset maker, should buy Yahoo. Find out why. Rumor: Plaxo Sold to Google for $200M? Plaxo has been in the news recently, reportedly hiring a bank to shepherd a sale. A representative for Plaxo declined to confirm or deny the deal, saying that the company has a policy of not commenting on M&A rumors. Rumor: Is Google About to Buy Bebo For $1 Billion To $1.5 Billion? Or Will it Be MySpace? TechCrunch reported an unconfirmed rumor has surfaced that either Google or MySpace is about to announce a big $1 billion to $1.5 billion acquisition in the social space, Bebo. Rev2.org reports on how Ask launched BigNews this week, a Google News/Techmeme/Newsvine-style news aggregating service that incorporates a Digg section showing top 5 news stories and submitted stories. VentureBeat has exposed, Dealipedia, a new wiki for information about acquisitions, private investments and other business deals. AOL has acquired buy.at, a leading affiliate marketing network backed by VC house DFJ Esprit, reports TechCrunch UK. Yahoo bought this little company, FoxyTunes, this week. FoxyTunes is a browser plugin service which allow users to stream music from their browser as well as to search for information about any artist on the FoxyTunes Planet service.